looks like Argos are starting the pre-order frenzy over here in the UK a little earlier than most for the Wii with their 'LIMITED STOCK' advert. With PS3 postponed until sometime next year and the 360 appealing to a limited demographic I guess Wii could really make an impression over here this Christmas. 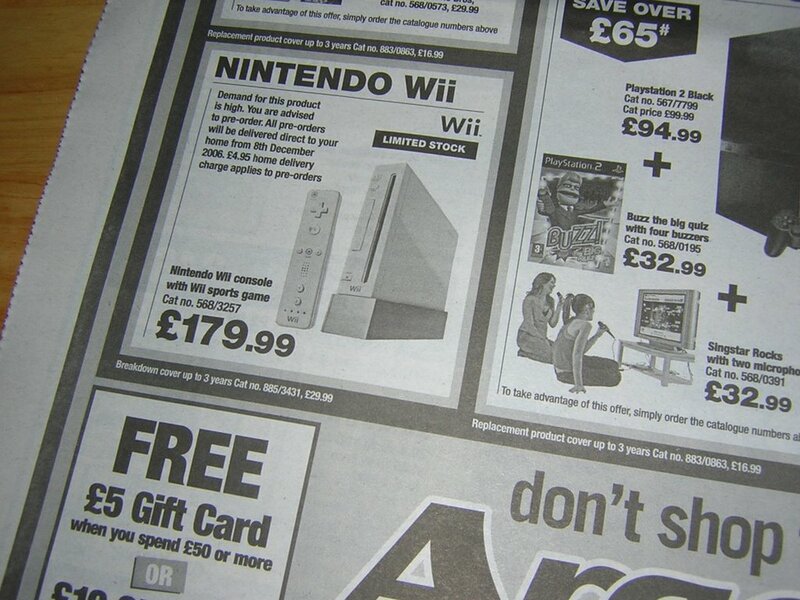 BTW: Doesn't look like the Wii can be pre-ordered just yet online... [Link] however if you take a closer look at the picture above you'll find the CAT number so you can phone 'em up! i like it very much !! !